Along with our end-of-semester concerts, Crescendo has many other performing oppotunities each year. These experiences allow our program to share the gift of music with the Spokane community and provide growth and experience for our singers. On Sunday, May 22, Crescendo performed in "A World of Music," presented by The Cantabile Chapter of the Spokane Symphony Associates. The program included a wide range of music from around the world and featured the "Mass of the Children" by John Rutter. Crescendo Community Chorus sang during the Mass with the Symphonic Chorus, and the Concert Choir performed a solo encore. 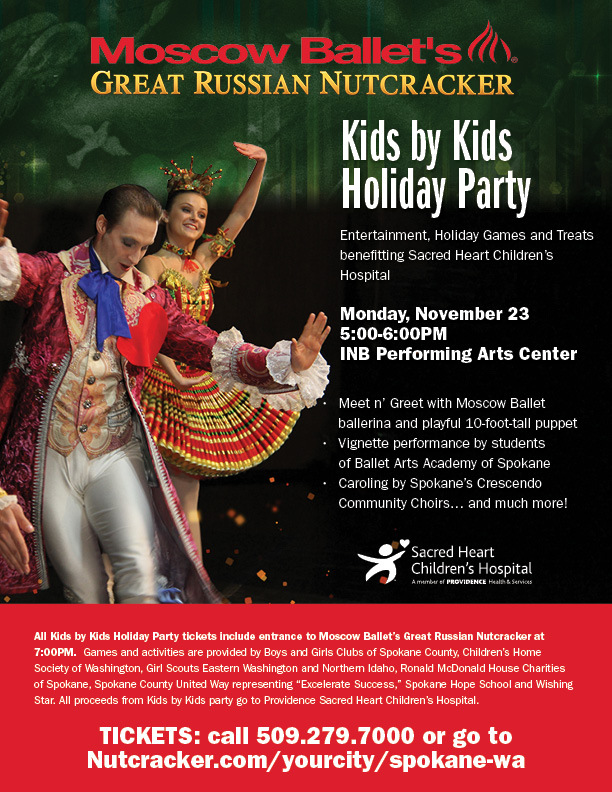 All proceeds supported the Spokane Symphony. 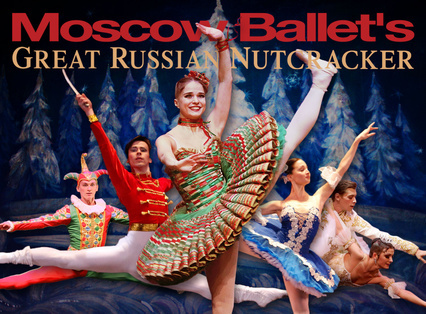 Crescendo Community Chorus has sung for the ballet for multiple years and has proudly been a part of the Moscow Ballet's Wunderkind program! Prior to their performance in Act 1 of the Nutcracker, the choirs carol in the lobby of the INB Performing Arts Center. Out of 27 choirs that performed at Shadle High School for adjudications in 2015, our Concert Choir youth ranked fourth! AND with about 35 groups that participated in the adjudication at St. George's, the Prep Choir kids placed second out of all of them! We are all so excited to see how much these kids have accomplished this year. 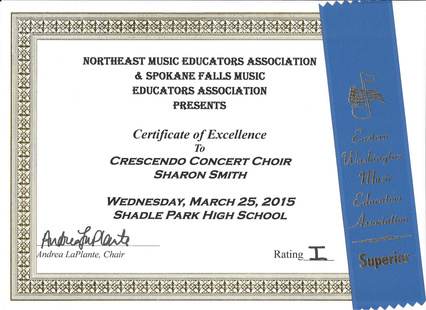 Congratulations, Crescendo singers!